T is for Taco Party. 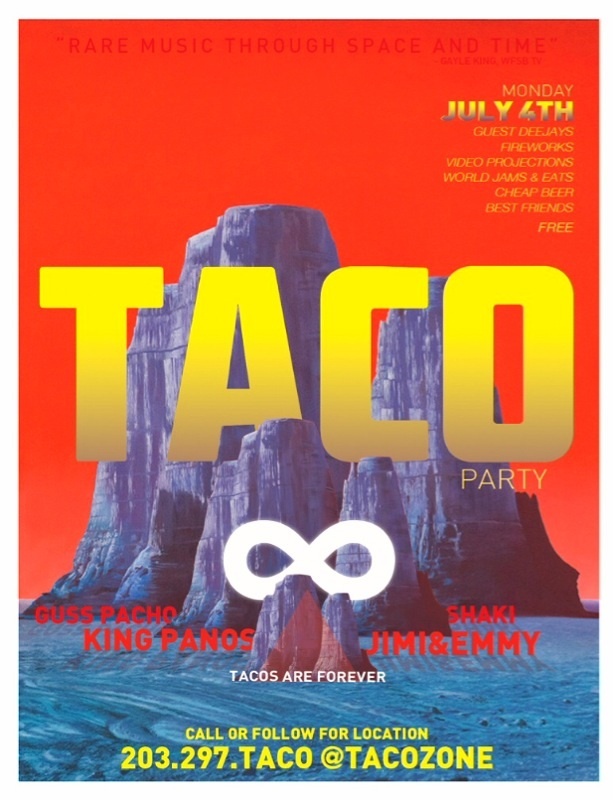 On Sunday July 3rd, light some real fireworks at TACO PARTY! This entry was posted in Uncategorized and tagged Guss Pacho, JIMI&EMMI, King Panos, Lady Wrangler, Shaki, Taco Party, Taco Party in New Haven. Bookmark the permalink.